i2t2 builds and manages mission-critical applications for our Clients and we work with our clients to offer a range of off-the-shelf, as well as custom built applications to address the business functions. With our application development and systems integration services, our Clients can acquire consulting and delivery expertise in both end-to-end systems integration and custom application development. Our services can help our Clients drive innovation and expand into new segments while reducing the overall IT costs. i2t2’s objective is to optimize the productivity and enhance and improve the performance with a reduced execution timelines. Our services cover business process discovery, design, implementation, integration; automation and the support our client need to achieve their long-term objectives. Our support team comprises experts with a rich experience in managing and maintaining business transformation projects, real-time, mission critical enterprise applications & products, large and complex transaction processing and database-oriented N-tier applications and are highly knowledgeable in using cutting-edge technology innovation standards, processes, frameworks and techniques. We offer a mix of onsite, nearshore and offshore engagement for all our support services. With a high level of transparency, our support model allows you to take decisions based on your requirements of proximity and helps you exercise a high level of control throughout an engagement. Our services allow a high level of transparency and stringently adhere to agreed SLAs. 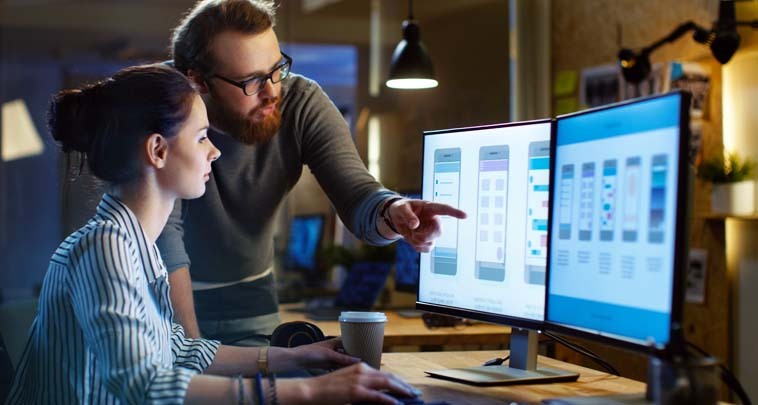 Our Center of Excellence (CoE) provides the best-in-class Application Development and Maintenance solutions and services across all stages of the AD lifecycle. Our unique capabilities span automation and digitalization, open source technologies & frameworks, supported by reusable components and partner offerings.